these kind of edible herbs are everywhere here in Holland right now [though, to be truthful, no so much chicory as i would like]. 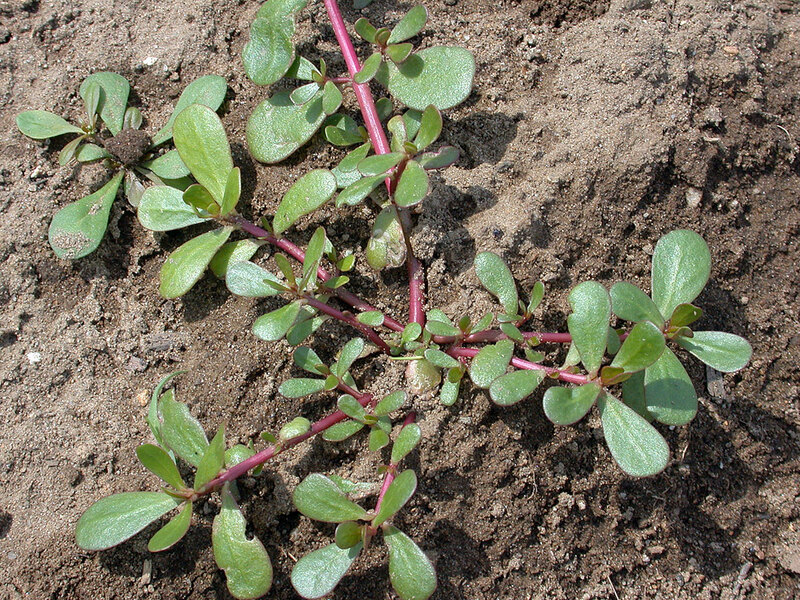 But, of course, wouldn't it just be wonderful to possess purslane seeds instead? I.E. instead of just hoping you run into something edible? Hey, i searched through Ebay and found zilch. Take advantage. But of course it's good to know how to make other kinds. Can you recognize the chicory plant...? As far as the alternative coffees, I've only ever tasted the Dandyblend. Was making soap in my Amish neighbor's kitchen on an especially foul-weather day, and she made me a hot cup of it with a drop of stevia and some fresh raw cream - it was even more yummy than hot chocolate! Was making soap in my Amish neighbor's kitchen on an especially foul-weather day, and she made me a hot cup of it with a drop of stevia and some fresh raw cream - it was even more yummy than hot chocolate! PLEASE..., more details. It is for this kind of gold nuggets that i visit Planet X Townhall daily! How do i exactly make a Dandyblend? It's available in most health food stores in the U.S., and even available in Walmart I believe. Here's a link for it on Amazon - a bit pricey, but might make a really good long-term storage drink/supplement/food for bringing into the Aftertime. The first time that I attempted to grow this crop, I made the mistake of planting them in a deep cedar box with no bottom, in other words a raised bed. If you have any burrowing animals, there will need to be a bottom layer of stones between the planting soil and the ground surface. My skirret had grown to full size over that whole first summer, but when I went to harvest some in the fall, everything below the crown of the plant was gone, and it could not have been due to rotting, as there was excellent drainage in the deep box. Both fortunately and unfortunately, groundhogs are plentiful here: Unfortunate for the skirret, but maybe fortunate for the meat in the aftertimes, as I just learned that it tastes delicious when roasted and is not at all gamey. Am now using a series of 2x4 galvanized troughs that have been punctured for drainage, instead of raised beds. Skirret is offered in the listings with Seed Savers Exchange and I've often wanted to plant it. Had no idea the roots were so long. Do you bake it or shred it for salads or? It's very sweet, with the name meaning "sugar root," and can be used in any way that carrots can be used. I should clarify that skirret is usually not harvested the first year while the plant is becoming established. That first summer that I grew it, I was planning to harvest a little the first year because they were purchased as older plants. Both recipes sound really delicious, like a dessert right out of the garden. Since skirret so sweet, it might resemble parsnips, which I grow and which are so sweet that it's more like eating dessert in the middle of the meal. I grate them and mix with other diced or grated veggies such as shallots, sweet red pepper, potatoes, carrots, sweet potato, and stir fry it all together in olive oil in a cast iron skillet. You can even throw in broccoli. OMG, it is truly delicious. Am thinking of grating some parsnips to substitute for carrots in carrot cake, well... parsnip cake. Not sure what sub/category to write this. Let me know where to move it if it's in the wrong place. What I’m writing here is how I’ve grown potatoes for many years now. Having lived in Sweden, where even if it does get very cold in the winters, potatoes grow successfully in large fields or in folks’ gardens. My house/property which I left when I moved over here to Canada is built on “mountain” and I only had a foot of earth/dirt before hitting bedrock, which made it a pain in the rear to plant stuff such as potatoes, carrots and other root veggies. I pre-plant my potatoes in gallon buckets of well fertilized soil. I use a mix of chicken and 2-year-old horse poop as fertilizing agent. When the potato plants have grown to be about 4 inches tall and have sprouted a healthy set of green leaves I bring the buckets outside during the daytime and set them next to the tires when the outside temperature during the day is warm, so they can get used to being outside before I permanently plant them in the tires. I mix the soil in the bottom tire with same type of fertilizer. I also make sure that hopefully the frosty nights have past before permanently planting the potatoes outside. I water the prepared soil in the tires the evening before I plant the “potato babies”, giving it a thorough soak. Come morning I’m up with the sun and transfer the baby potato plants to the soil in the tires. You can fit about 8 – 10 potato plants in one large rear tractor tire and 4 potatoes in a car tire. One difference if using car tires, you need to start out with 2 tires stacked on each other, since they aren’t as “deep” as a rear tractor tire. You can also do a similar variation using a big plastic rain barrel. Just make sure you have a ring of holes drilled in the bottom of the barrel so water won’t collect and rot your potatoes from the bottom up. You can also place a layer of fist size rocks in the bottom of the barrel. The barrel method is a good way for someone that lives in a city that perhaps only has a balcony to plant their own potatoes. Just make sure you have a deep platter or dish under the barrel so your neighbor under you doesn’t have a conniption due to getting “rained on”. OK, so now we have the potato babies planted in the tires… Make sure to have a big pile of straw ready just in case it looks like it’s going to freeze during the night, so you can pile that straw on top of your potato plants during the night. Potatoes are quite hardy once they’ve adapted to being outside but don’t do all that well with frost during the first week or so when newly planted outside. The straw will protect from the brunt of a nightly freeze but if it looks like it’s going to be more than just a light drop in temperature, you can also add a tarp on top of the straw. Once the potatoes/leafage have grown to be about a foot above the soil, add more soil. (no need for more fertilizer) Just make sure that you don’t cover the plants completely. You need to have at least 6 inches of leafage above soil. Adding soil like this as they grow, will create room for more potatoes to grow under the soil. When needed, add another tire and keep adding soil as the potato plants grow. (insulate those tires with straw too) Last year I had 2 big 4 tire high stacks full of potatoes. Come time for harvest (after the first frost) “just knock the tire stack over…” Hmm… if you don’t have a tractor or a 4-wheel drive truck that you can attach a cable of sort to the stack or top tire to pull them down, go with the regular car tires. Those big tires are HEAVY… but well worth it. But do one layer of tire at a time if possible. (Which ever method you use to pull the tires down, make sure you or anyone else is nowhere near them and absolutely not downhill from them... That goes for your truck, tractor, house etc. as well. A runaway/rollaway tractor tire that has a mind of its own, can be downright evil!) All you do then is sort through the soil, basket the potatoes and store them somewhere well ventilated and cool. Don’t wash the dirt off of the potatoes until you are ready to use them. I would plant my potatoes this way even if I did live in a warmer climate. I’m lazy and it sure saves your back not having to harvest from a field… Make sure you water your tire potatoes, depending on what your climate is like. When you get down to the bottom tire, you can leave those potatoes in the dirt if you want, topping off with a thick layer of straw and a tarp. I have a friend that just heaps a thick layer of straw on top of the bottom layer/tire and a tarp on top of everything and come spring, she removes the tarp first and a few weeks later the straw and whatever potatoes that were left in the dirt sprout and that’s the start of her next year crop… I haven’t gotten that to work yet but I’ve seen hers. When did you plant your potatoes this year, assuming you already did. BTW, thanks for the detailed explanations, which some farther south probably wouldn't need to do, but with such unpredictable weather, who knows. Ilinda, your parsnip dish sounds wonderful! Uploading a diagram of one of our permaculture areas that my sons helped me create over the years as a home-school project. All on less than two acres that is more than half wooded. More diagrams soon. Many thanks once again to Barb Townsend for the link to info on Siberian Pea.